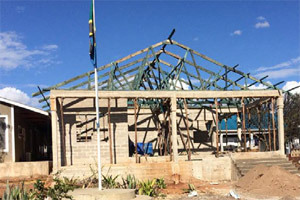 Construction of 67 new district health facilities countrywide have been confirmed by the Tanzanian govenment and it has been revealed that the project is on the advanced stages. Reducing challenges confronted by people from the rural areas is one the primary aims for the construction of the new facilities. According to Prime Minister Kassim Majaliwa, the plan is to have quality healthcare closer to the people so that they don’t have to travel long distances to access the services in distant facilities. He said that the government has invested in the renovation of an existing hospital, Misungwi District Hospital, allocating a total of 1.5 billion. Mr. Majaliwa further reiterated the establishments commitment towards constructing more district hospitals and health centres in the next fiscal year, and to invest in renovating the existing health facilities across the country. More health centres have been approved for construction in Misungwi and other similar regions in the country. Prime Minister Majaliwa, also urged the local authorities to start mobilizing funds for the construction of dispensaries through which the government will be able to provide medical supplies and health care staff. While make the announcements he noted that, there are currently over 16000 villages across the country and while the government may not be able to build dispensaries in all areas immediately, local authorities have been instructed and encouraged to erect the required structures for atleast providing basic and minor treatments.